For the cost of a donation to the food bank, parents can guarantee that this year’s Christmas presents will be safe from prying eyes. 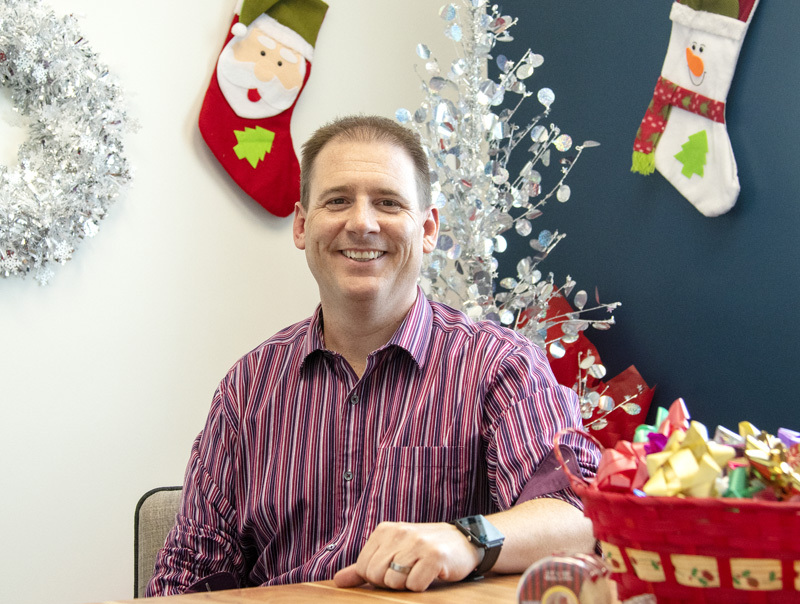 “As every parent knows, kids love to hunt down their Christmas presents,” said Matt Verity, owner of Chestermere Store and More. “There’s very few hiding places within a house that kids don’t know exist and parents [can] use,” he said. To help keep Christmas presents a surprise, Verity is offering, for the cost of a donation to the Chestermere Regional Food Bank, a free storage locker for the month of December. “They can come in here…and hide those presents until such time they want to have them wrapped up and under the tree,” said Verity. Additionally, there will be space for people to wrap presents and have a coffee while they are there. There will also be some wrapping paper and supplies should they be needed. “We’ll have all the supplies that somebody needs if they haven’t been able to bring their own,” he said. Verity said that after the huge amount of support he’s received from the community since his grand opening nine months ago he wanted to find a way to give back. He was inspired to offer free Christmas present storage after hearing about a company in England that did it. “We felt that this would be a neat one over the holidays when everybody’s got things to put away and things to hide from prying eyes,” said Verity. When it comes to prying eyes hunting for Christmas presents, Verity has first-hand experience. He said that he doesn’t mind getting surprised but as children his sister couldn’t wait. “I wasn’t so bad, but my sister was terrible,” he said. Now as a father of two boys, Verity said that all the Christmas presents are in a storage locker. In addition to thwarting those searching for presents, Verity expects that anyone who is giving larger or awkward sized items will appreciate the ease of using a storage locker. They selected the food bank as the charity to support because during the holiday’s everything revolves around food and family. “Christmas dinner, waking up in the morning and having breakfast, all the things that a lot of us take for granted because we have never had to worry about supplying food for a holiday,” said Verity. His goal in supporting the food bank is to help families in need be able to enjoy their Christmas traditions. They will be accepting both cash and non-perishable food items for the food bank. Lockers can be rented during office hours, 9 a.m. to 5 p.m. Monday to Saturday. Lockers can be accessed 5 a.m. to 11 p.m. daily, giving gift givers plenty of time on Christmas Eve to get the presents home and under the tree. “You better get out here before 11 p.m. because Santa will be on his way pretty soon after that and you’ve got to be in bed too,” said Verity.